Huntsmoor at Bovingdon opens during 2015 for the National Gardens Scheme. 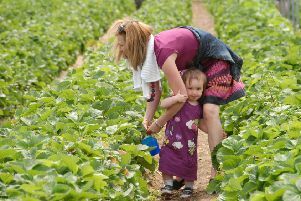 Parents are being urged to take their children on garden visits during the summer holidays, and help raise funds for charities. The National Gardens Scheme (NGS) has almost 500 gardens open across England and Wales during the holidays, many of which don’t charge for young people under 16 years of age. One family-friendly garden opening in Hertfordshire over the holidays is 142 Falconer Road, Bushey, which features a magical space decorated with bird cages, lighting and chimneys – and which was featured on Alan Titchmarsh’s ITV show, Britain’s Best Back Gardens broadcast in February this year.